Can there ever be a problem living in a little Abruzzo frazione? Where everyone has land and orta (vegetable patch) apart from me in my little cottage with small terrace? To be fair it did provide a great place for growing some tomatoes, till a giant wind ripped down the Corno Grande and literally blew them apart, smashing their pot. Thank goodness for my vertigo and lack of climbing skills that forces me just to admire from afar! My super-stella neighbours frequently drop off their excess from what they have grown or foraged, but sharing is a two way street so it’s often thinking caps on to what I can cook and then share back with them to say thank you, as unlike them, I can’t return with a bucket of something so very easily. Domenico recently brought me round a bucketful of windfall pears; now I love pears and pecorino, but there was rather a lot, and being windfalls they would have struggled to last the time needed to get through them all… I hate with a passion pear jam, and Domenico is not so fond of sweet things, so I posted for ideas on the LifeinAbruzzo Facebook page. Lots of suggestions, but the one that tickled my fancy the most was sent by Lucinda Antal von Dorgicse who suggested Pear & Date Chutney. Looking at the ingredients there was nothing in there that hadn’t been fed to me at some time in Abruzzo, albeit as individual flavours; my only worry & potential complication was sourcing the dates… Our local supermarkets are very seasonal and dates are purely a Christmas thing here in Abruzzo. Hmmm, always in season though is golden sultanas so I substituted some of these and they seemed to work exceptionally well. I also substituted the cayenne for some finely chopped local peperoncino. After making I left them to mature for 3 weeks, and even though I renamed ‘Chutney’ as relish so as not to scare my neighbourhood lovelies off with trying something from another continent, feedback so far has been excellent. I haven’t tried their further suggestion yet of it working well with salami & prosciutto – thank you Lucinda, it was a hit! 1.5 kilo pears, 500g dates, 750g demerara sugar, 500g cider vinegar, 100ml oil, 1 tbsp coriander seeds, 1 tbsp fennel seeds, 1 tbsp cumin seeds, 1 tsp cayenne, 750g red onions finely sliced, 500g carrots grated, 1 tbsp sea salt. 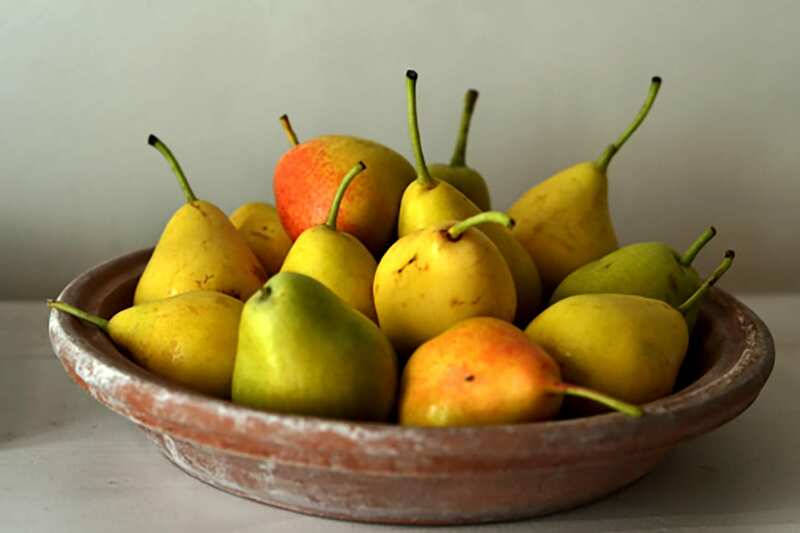 Wash & core pears – chop into small chunks. Mix with dates, sugar & vinegar, leave to sit for an hour. Meanwhile heat oil in large pot until smoking, add seeds & cayenne. Fry for 1/2 minute, stirring well and then add onions, cook for 3 minutes. Add carrots and cook for 5 mins. Add marinated fruit mixture and salt, stir well and reduce heat to a simmer. Cook for 45 minutes, stirring well every 5-10 minutes, scraping well round sides and bottom of pan. Should be thick and dropping off the spoon. 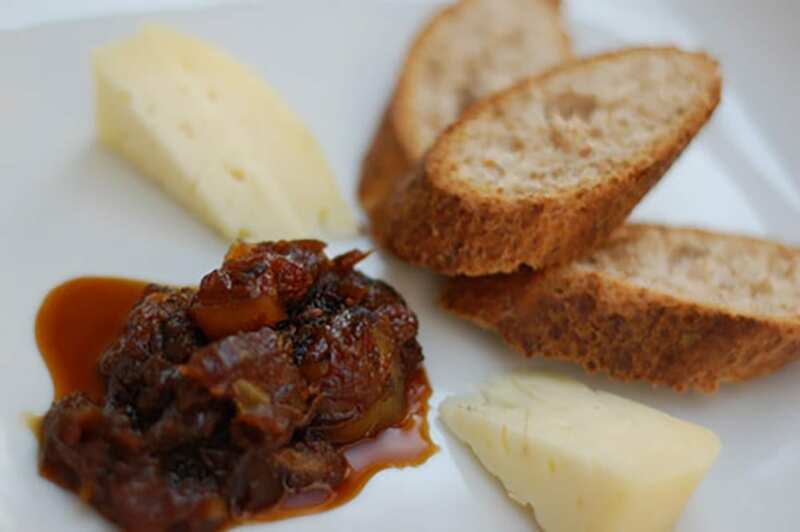 oh Sammy this sounds wonderful – you need to start thinking about exporting pecorino and the pear and date chutney to the UK! !I will make sure that everyone forms an orderly queue! !